Earlier this week, an Illinois district court granted in part and denied in part an employer’s motion to dismiss a former employee’s complaint for its failure to state a claim. The complaint was brought by an employee who previously worked as a teacher’s assistant for Defendant Melrose Park Broadview School District No. 89. The case arose after the employee, Cleon Jones, was granted FMLA leave from February 23, 2016 to May 15, 2016 to care for his mother who had been diagnosed with cancer. On May 11, 2016, the Employer’s Assistant Superintendent of Human Resources sent Jones a letter stating that his request for an extension was denied and his FMLA leave would expire on May 16, 2016. Jones alleged that the employer miscalculated his FMLA time since the Employer had a policy which stated, “eligible employee may take FMLA leave for up to a combined total of 12 weeks each 12-month period” and that any full workweek period during which the employee would not have been required to work, including summer break, winter break and spring break, is not counted against the employee’s FMLA leave entitlement.” Jones v. Maywood Melrose Park Broadview Sch. Dist. 89, No. 16-CV-09652, 2017 WL 2936709, at *1 (N.D. Ill. July 10, 2017) ( internal quotation marks omitted). Jones alleged that, pursuant to that policy, spring break, which ran from March 25th through April 1st, should not be counted against him and therefore his FMLA leave did not run out until May 24, 2016. When Jones did not call or show up for work from May 16th through May 23rd 2016, he was terminated pursuant to the Employer’s “No Call / No Show” policy. Jones subsequently filed suit, alleging FMLA interference and retaliation, as well as procedural and substantive due process claims pursuant to 42 U.S.C. § 1983. The court denied the Employer’s motion to dismiss Jones’ FMLA interference and retaliation claims. 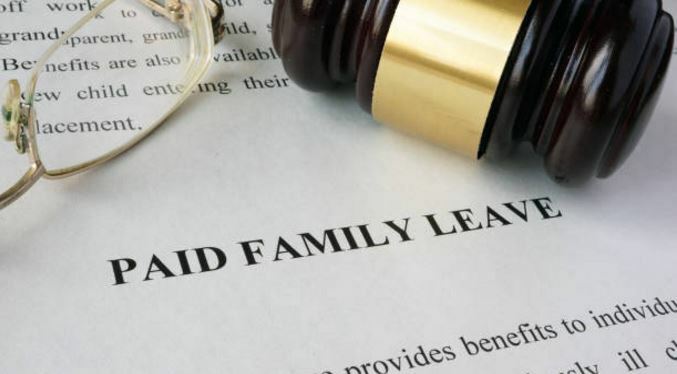 In regards to his interference claim, the court determined that, although Jones was granted FMLA leave, the Employer miscalculated that leave pursuant to its own policy and therefore he was not given all of the FMLA leave he was entitled too. The court rejected the Employer’s arguments which attacked the sufficiency of his request for an extension stating that Jones’ claims “are not premised on Defendants’ denying Plaintiff’s request for an extension of FMLA leave; rather Plaintiff alleges that he was improperly denied a twelfth week of FMLA leave to which he was entitled when he applied for and was approved for FMLA leave in the first instance.” Id. at *3. Similarly, the court refused the Employer’s argument that Jones did not sufficiently allege that his termination was motivated by “an impermissible retaliatory animus.” Jones properly asserted that he suffered an adverse employment action since he was terminated based on the “No Call / No Show” policy for work missed during the period he should have been on his last week of FMLA leave. Jones now has an opportunity to amend his complaint in this ongoing case. As is evident here, employers should ensure that they are not only acting consistently with state and federal law, but also their own FMLA policies.